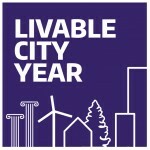 Livable City Year partnered with the City of Tacoma for the 2017–2018 academic year, connecting UW students and faculty with projects identified by Tacoma that advanced goals outlined in the Tacoma 2025 Strategic Plan and the One Tacoma Comprehensive Plan. 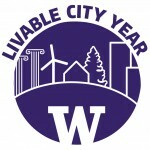 UW students worked on a wide variety of following projects in the City of Tacoma during the 2017–2018 Livable City Year. See information on all the projects below. This project would complement the Pierce Transit High Capacity Transit feasibility and design study by working with local businesses and residents within a walk distance of two key intersections along the Pacific Avenue corridor at S 38th and S 56th, to explore place-making strategies that could be implemented in conjunction with transit station construction and future land use development. Place-making elements could include façade improvements, tree canopy, signage and wayfinding, public spaces, streetscape design, as well as route-directness and connectivity improvements that help facilitate the growth of transit-oriented communities and 20-minute neighborhoods. Students will conduct focus groups to report on what amenities/retail destinations are missing in Tacoma. Report should include qualitative and quantitative data that is used to recommend amenities/retail options that would be beneficial to a college student body, surrounding educational institutions and working young adults who live in Tacoma. This project should focus on suggesting opportunities in proximity to our local educational institutions: UWT, Bates, UPS, TCC and PLU. This project will create a sample Planning and Development Video library, with each video focused on a specific topic of interest to the community. Topics include a profile of the Planning and Development Services Department, a tutorial of the One Tacoma Plan, the vision for the City’s designated Mixed-use Centers, and/or a profile of the City’s Downtown Subarea Plans. This project will create a template for future expansion of the video library to help improve citizen and developer access to, and understanding of, the City’s plans and programs. PDS has been seeking to increase the diverse methods of communication the department uses to reach citizens and to involve them in the decision-making process. The intent is to create a social media presence that reflects the mission of PDS and to train staff on how to most effectively utilize social media to have the greatest impact. Tacoma 2025, the City’s strategic plan, is the visioning document to inform elected and staff decision-making. Out of the strategic planning process, a set of indicators were developed around our seven core values. In order to create specific goals, an implementation strategy, and viable targets, the City needs to collect, analyze, and report baseline data. This project would require identifying strong collection methodologies, time frames for collection, and an organizing structure for how the data will be reported. If the project is selected and extends over one academic quarter, actual data collection could be within scope. This project will assess the lessons learned from recent subarea planning and neighborhood revitalization strategies. The intent is to create a more operationalized approach to neighborhood revitalization, including scoping, assessment of needs, assessment of assets and capacities, and community based strategies for future replication. Much of Tacoma’s appeal comes from the uniqueness and spirit of our neighborhoods. As the lifeblood of the city, it is vital that we continue to provide support and seek out opportunities and projects that make the places people live better. A pathway to make good decisions is an analytic tool, which will be used across departments, that displays, interprets, and correlates a set of indicators (schools, grocery stores, parks, retail, rates of foreclosure, age, race, ethnicity) that portend neighborhood health. Civic engagement and communication is one of the most challenging responsibilities of a government organization. The renewed vision for equity and inclusion requires an accounting of existing methods of community outreach and civic engagement, so that Tacoma can more effectively understand and serve its diverse citizenry. In order to install best practices uniformly across all parts of government, the City would like a study that documents existing and recommends innovative ways to connect with residents along the continuum of civic engagement. Emphasis on translation and interpretation. The purpose of the project is to develop a statistically valid survey to build upon information gathered in the City of Tacoma Environmental Services Satisfaction Survey Report of Results from 2015. We would like additional information on topics such as: the way people, already aware of the Open Space Program, became familiar with it; the activities that are of most concern to people with regards to Open Space; the reasons people do not report illegal activity on Open Space; how people search for Open Space volunteer opportunities; and the reasons people choose not to volunteer in Open Space. The Open Space Program would use the results of this survey to develop a more effective marketing and outreach program. The City recognizes that many in the community are simply unable to prepare themselves for a disaster or major emergency. This project would provide an assessment of the City’s neighborhoods, particularly South End, Eastside and Hilltop, to identify potential locations in each for emergency sheltering and supply storage (e.g., community centers, schools, churches, etc.). We believe that historic preservation should reflect the diversity of our history and communities, in order to recognize the contributions that underrepresented groups have made to our history and city. Currently, most of the City’s landmarks and historic districts are located in areas of the city which have traditionally had a greater awareness of planning and historic preservation processes. This project would explore the histories of neighborhoods in the east and southern ends of Tacoma and would make recommendations about the potential for National Register Historic District nominations, individual landmark nominations, or historic context statements in these areas, which have been less served by historic preservation programs. This project will deal with social equity, inclusion, and access through the creation of historic districts and landmarks. It will also deal with issues of economic disparity and cultural and ethnic diversity. Investing in green infrastructure, engaging the community, and developing meaningful partnerships will ensure smart growth, healthy ecosystems and environmental equity for current and future generations. This analysis would specifically looks at tree canopy and its effects on human and environmental health, including air quality, stormwater quality and quantity, reducing the effects of the urban heat island, and creating more attractive and walkable streetscapes. This proposed case study will demonstrate the integration of a green infrastructure network to improve community health and environmental equity, while supporting dense urban growth. Identifying and addressing implicit bias in the prosecution of misdemeanor cases by the City Attorney’s Office in the Tacoma Municipal court. Prosecutors are not immune from implicit bias. As gatekeepers of the criminal justice system, prosecutors can be part of the problem – as well as the solution. If prosecutors are not aware of their biases, have no consciousness about them, and do not work to counteract them, then these biases can become part of how any individual prosecutor reacts and makes decisions in any individual case, and these actions can then become part of the system. We would like to improve access to City services. For example, many of the City’s services are accessible by calling 311, using the TacomaFIRST 311 mobile app, and City website. With more and more homes having virtual assistants, such as the Amazon Echo (commonly called Alexa) and Google Home devices, we see the opportunity for City residents using these systems to engage them for City services. Additionally, these low-cost AI devices could be deployed in public places like Police substations, public transit stops, libraries, shelters, etc. for community members having real-time access to City service information. Focus awareness and education efforts to preclude fires that are easily preventable, focusing on the most effective methods that capture citizens’ attention and prompt them to take action. Review of our data about structure fires and identify the preventable causes and focus education and awareness efforts, based on cause and locations. Also identify the most effective programs to reach citizens and get them to take action. This project’s outcome could benefit the department by keeping our firefighters safer and less likely to be needed for response to preventable fires, and the citizens, keeping them safer and experiencing less property damage. The City of Tacoma has a long-standing policy interest in exploring the potential of an impact fee program. The City of Tacoma, like all jurisdictions, continuously works to stretch its transportation funding resources to meet the current and future needs as the City grows. Tacoma has been very effective leveraging limited funds to attract transportation grant funding from federal and state sources. More recently, the voters approved new funding for street maintenance which has begun to address that backlog. The next step in that positive trajectory is to develop a method to pool development resources to grow and improve Tacoma’s multi-modal capacity to handle increasing transportation needs as the City grows. An impact fee program could put Tacoma in a better position to attract and support jobs and housing consistent with its role as a metropolitan city and the downtown of the South Puget Sound region. The study will analyze the current needs and opportunities for Tacoma, lay out the legal and policy framework, assess a range of policy options, and conclude with recommendations. Ruston Way is one of the City’s most popular destinations, comprised of linear parks and recreation, interspersed with water enjoyment uses and commercial offices. However, the design of the waterfront dates from the early 1980’s and the use of the waterfront has changed significantly. The City of Tacoma and Metro Parks Tacoma have signed a memorandum of understanding to fund a mobility study and capital improvement plan for Ruston Way. This project would provide a complementary design challenge: to seek ways of re-integrating the gulches along Ruston Way with the waterfront. There are four gulches along Ruston Way: Garfield, Mason, Buckley and Puget Gulches. The final design concept would reconnect the natural topography and hydrology of the gulches to Commencement Bay while also maintaining the corridor transportation and recreation functions. The Residential Infill Pilot Program was a part of the recent affordable housing code amendment that is designed to promote innovative residential infill, while ensuring that such infill demonstrates high quality building and site design that is responsive to and harmonious with neighborhood patterns and character. Housing choice and affordability are primary goals of this program. The pilot program has gone through the selection process, but tools to assess the success of individual projects and overall goals through further program development, public engagement, and surveys. The Thea Foss Peninsula is an historic center of the City’s maritime industrial waterfront. The area has a direct connection and proximity to Downtown Tacoma, via the Murray Morgan Bridge (11th street); relic maritime structures; chemical storage and transport facilities; limited deep water access for shipping; as well as significant vacant lands and mixed-use water enjoyment activities. This study would evaluate the spatial needs of small and medium size industrial and manufacturing firms that specialize in clean tech, maritime, or other sustainable manufacturing sectors to evaluate the potential for a spatial match between industry sectors and the Thea Foss Peninsula. The report should identify growth sectors and niche markets that Tacoma’s labor and land markets could support. Lastly, the report should detail attraction and recruitment strategies, including firm, labor, and land based strategies. The Tacoma Municipal Building, while a beautiful historic landmark, needs to create work spaces that complement the way individuals and departments work, engage, and collaborate. Money has been budgeted and a number of spaces have been allocated for innovation labs and breakout rooms throughout the building. A creative vision and design for each of these spaces would help inform how Tacoma City employees work together. An emphasis should be on technology, collaboration, and openness and creating a visual connection to City’s Values and Principles. Pierce Transit is initiating a study for the relocation of the Tacoma Mall Transit Center. This project will complement the Pierce transit station relocation stud by identifying catalyst sites within the potential station locations and assessing the redevelopment feasibility of these sites for transit oriented development. The project will help to inform the long-term station location plans. Problems with violations of various labor standards, including local wage and leave policies, are part of a general, and potentially increasing phenomenon of ‘precarious employment.’ Precarity is a multifaceted concept that includes inadequate benefits, social protections, work hazards, as well as the exploitation of workers from ‘vulnerable populations,’ including those with limited economic and social power. Precarious workers may be exploited and are less likely to either complain to authorities, or take actions to protect themselves. Because many precariously employed workers are in the informal sector, they may not be well represented in official labor statistics. To build a more effective employment standards education and enforcement program and to support Tacoma 2025’s goals to reduce poverty and increase housing stability throughout Tacoma, students will explore the working conditions and needs of vulnerable working populations within the city. Part of Tacoma’s vision for an environmentally responsive future involves electric vehicles. In order to support the use of these vehicles, the City needs to strengthen our charging infrastructure. However, the City must assess where charging stations should be deployed? Should it be in the right-of-way, multifamily development, or workplaces? The City needs to develop an Electric Vehicle Strategy so we can deploy resources most effectively and equitably. Studies show that a child raised on the Eastside of Tacoma is likely to live 7-12 years less than other parts of the city. While there are many reasons for this, access to healthy food is a strong contributor. A Food Innovation District can help to reduce this disparity. By encouraging business collaboration, FIDs provide important opportunities for product aggregation, information sharing, and partnering on events and market promotion. This project will identify existing assets that can be built upon, evaluate specific opportunity sites, and identify actions to spur a cross-cultural and cross-generational food district. The City of Tacoma’s growth precipitates a need to be more conscious and deliberate about how development projects affect the public realm and the aesthetic vision of the City. Out of this awareness for increased quality in the built environment, a design review program has emerged. While considerable feasibility research has been conducted, the next step is to develop guidelines and create visual examples of standards. This project would include developing diagrams, renderings, and hypothetical projects that embody the goals of the design review process. As housing costs rise and people crave more compact, sustainable ways of living, the City needs to consider how to update our approach and policies around housing. This change will require adding tools and new ways of thinking about housing alternatives and the nature of development. Some of the housing options to look into would be land trusts, land banks, tiny house developments, mixed type and size cottage housing. Researching case studies, barriers to implementation, and making recommendations would be essential to final report.